With high-end 1.2GHz Quad Core processor inside, this is performance driven Karbonn phone. There is 1GB RAM along with this performer cpu. 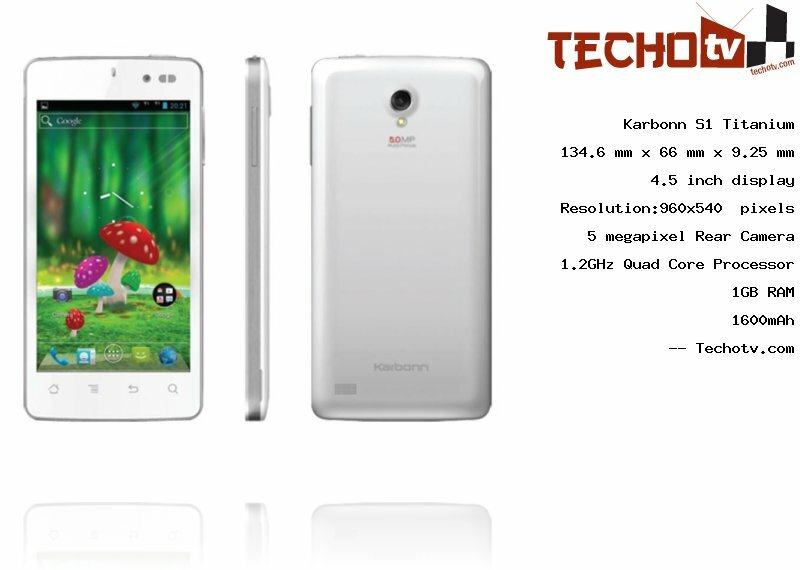 Karbonn S1 Titanium has 4.5 inch display sporting resolution of 960*540 pixels. It has good pixel density of 244 ppi. This device has physical dimension of 134.6 x 66 x 9.25 mm. We've 4 GB as internal storage capacity on this device. There is 5 megapixel primary camera situated at the rear of this phone. On the front, we've VGA camera.